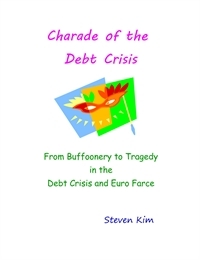 Works under the category of the United Kingdom refers to the United Kingdom of Great Britain and Northern Ireland, a sovereign state located off the north-western coast of continental Europe. 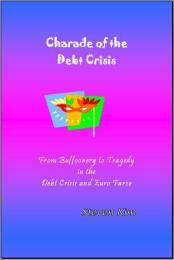 The country includes the island of Great Britain, the north-eastern part of the island of Ireland and many smaller islands. Northern Ireland is the only part of the UK that shares a land border with another sovereign state—the Republic of Ireland. Apart from this land border the UK is surrounded by the Atlantic Ocean, the North Sea, the English Channel and the Irish Sea. The aim of this investigation has been to determine the potential value, if any, of UAP sighting reports to Defence Intelligence. Consistent with MoD policy the available data has therefore been studied principally to ascertain whether there is any evidence of a threat to the UK, and secondly, should the opportunity arise, to identify any potential military technologies of interest. UFO Reports 1997 in the UK, showing dates and times, location and a brief description of sighting. 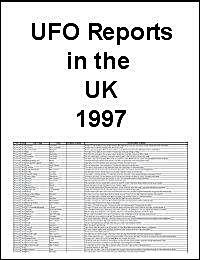 UFO Reports 1998 in the UK, showing dates and times, location and a brief description of sighting. 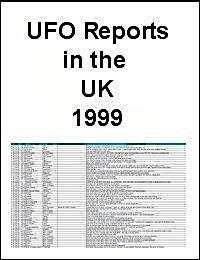 UFO Reports 1999 in the UK, showing dates and times, location and a brief description of sighting. 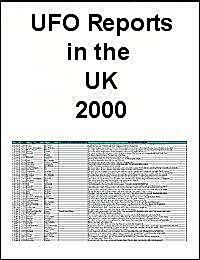 UFO Reports 2000 in the UK, showing dates and times, location and a brief description of sighting. UFO Reports 2001 in the UK, showing dates and times, location and a brief description of sighting. 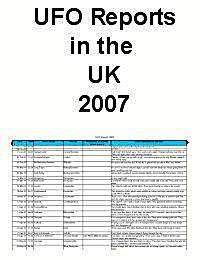 UFO Reports 2007 in the UK, showing dates and times, location and a brief description of sighting. UFO Reports 2002 in the UK, showing dates and times, location and a brief description of sighting. 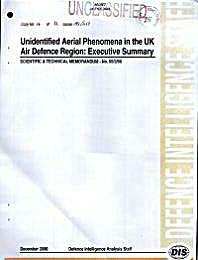 UFO Reports 2003 in the UK, showing dates and times, location and a brief description of sighting. 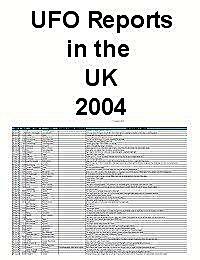 UFO Reports 2004 in the UK, showing dates and times, location and a brief description of sighting. 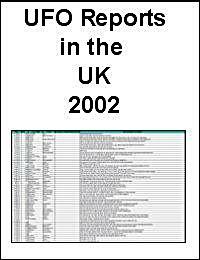 UFO Reports 2005 in the UK, showing dates and times, location and a brief description of sighting. 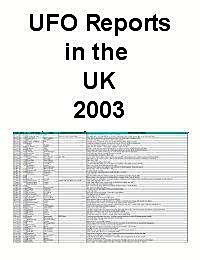 UFO Reports 2006 in the UK, showing dates and times, location and a brief description of sighting. 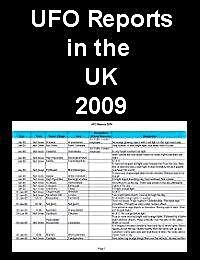 UFO Reports 2008 in the UK, showing dates and times, location and a brief description of sighting. 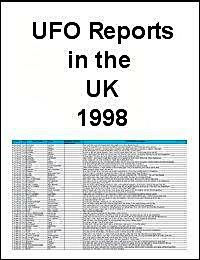 UFO Reports 1997-2009 in the UK, showing dates and times, location and a brief description of sighting.